This candle holder idea from Lovely Greens has been on my to‐make list for a while. Finally I got all the material to put it together. I used drinking glasses from the dollar store, the smallest votive holders I could find, which happened to be at the Muji store, but I think other places like Michaels or Ikea might have them too, and some dollar store sea shells for the base, because the votive holders are much shorter than the glasses. It’s such a great way to show of the unique pieces of glass. Like this one that seems to come from a screw top bottle. Have a bright and happy week, everyone! 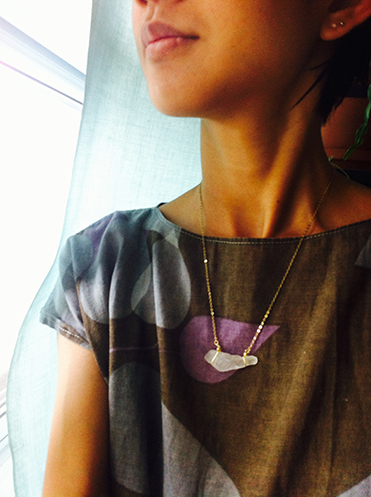 Votre collier est très raffiné et original. 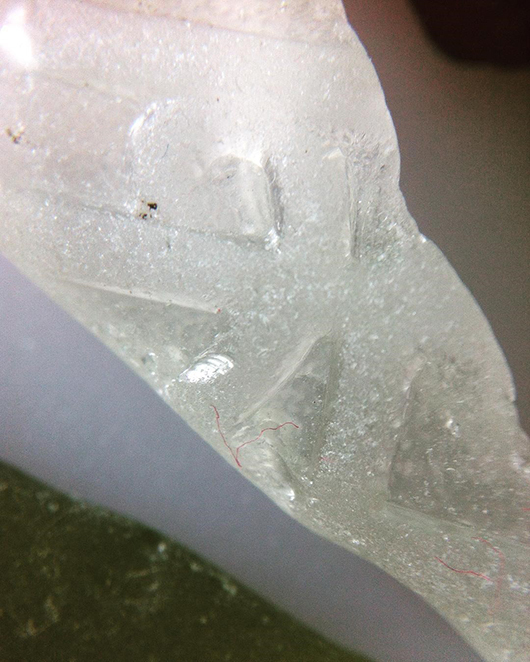 Quant aux petites lumières dans les verres, elles me font penser à un décor pour conte de fées. très jolies photos poétiques. 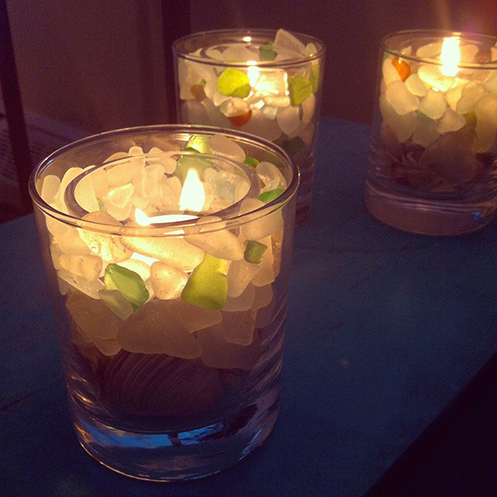 I love your sea glass votive holders. Thank you for the idea, l’d like to try that. 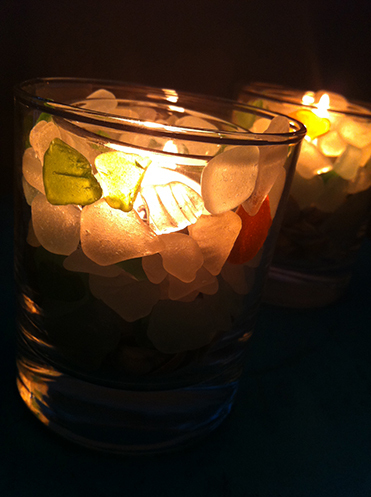 Your sea glass votives are so beautiful! 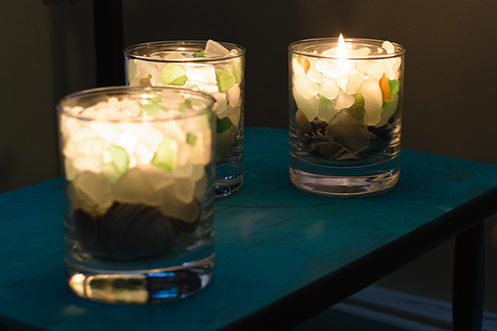 We live in the desert and I can’t think of a better way to use the sea glass we spend our whole beach vacations hunting for. And when we are home, what a beautiful way to remember the ocean and good times. Thanks for your great ideas. 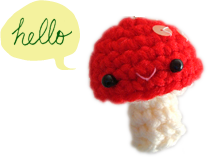 I am making some of these. Both of the projects are beautiful, Trish! I will definitely be making some of the votive holders. Love the idea of using a dollar store glass. 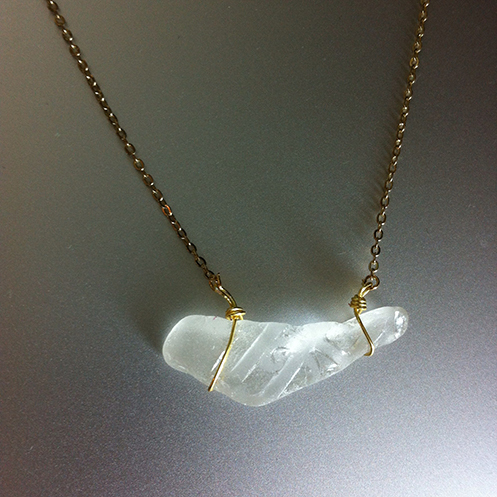 I adore the piece of beach glass and the necklace that you put together is perfect. 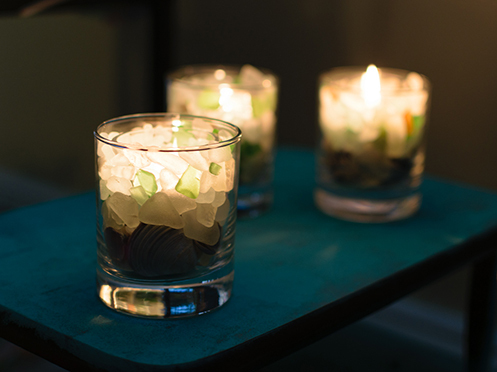 I, too, am a beach glass comber…I have jars of found beach glass from Texada Island, off of Vancouver Island…the votive holders look so nice, as well.